A tremendous variety of equalizer plugins are at our disposal. 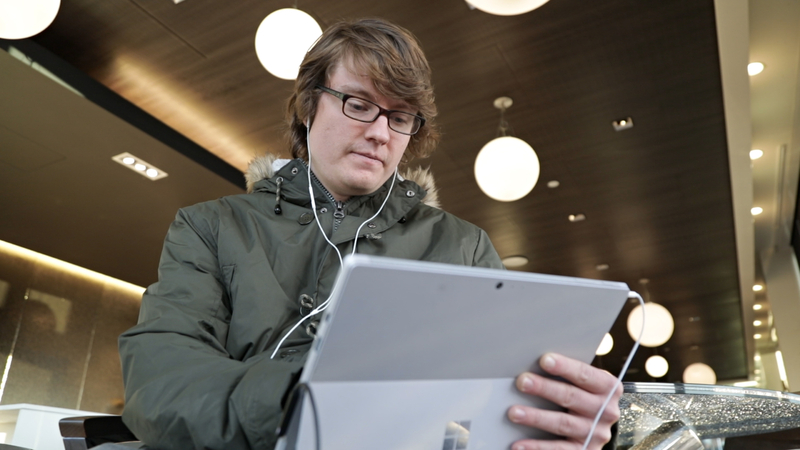 They range from purely digital ones to replicas of old analog units. 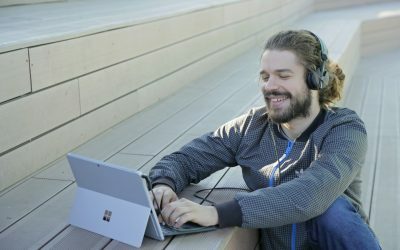 Equalizers are without a doubt an important audio processor. Over the past century, it found its use in music production, broadcasting, live setups and so on. 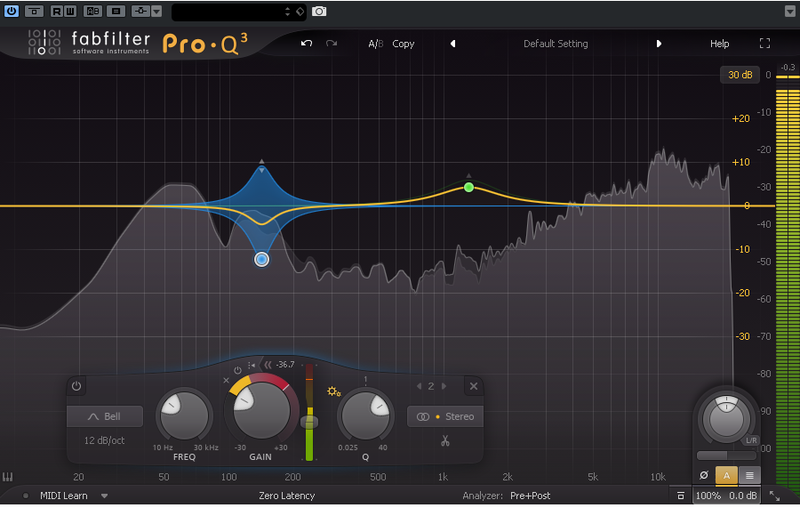 One of the best equalizer plugins that has ever hit the music software market is definitely the Fabfilter Pro-Q. Today, we are witnessing the release of the 3rd reincarnation which possesses a lot of helpful functions. It can be considered as an EQ “Swiss army knife”, a multi-tool if you will, featuring a variety of handy attachments. 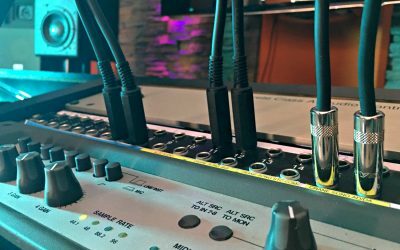 It is so simple to use and is therefore adored by many audio engineers across the world. Pro-Q 3 is intuitive and it sounds second to none. So in the next tutorial, I will guide you thru its interface and functions, following by a couple of audio examples. As usual, let’s start by loading it to a newly selected channel in SoundBridge where I added a drum loop. 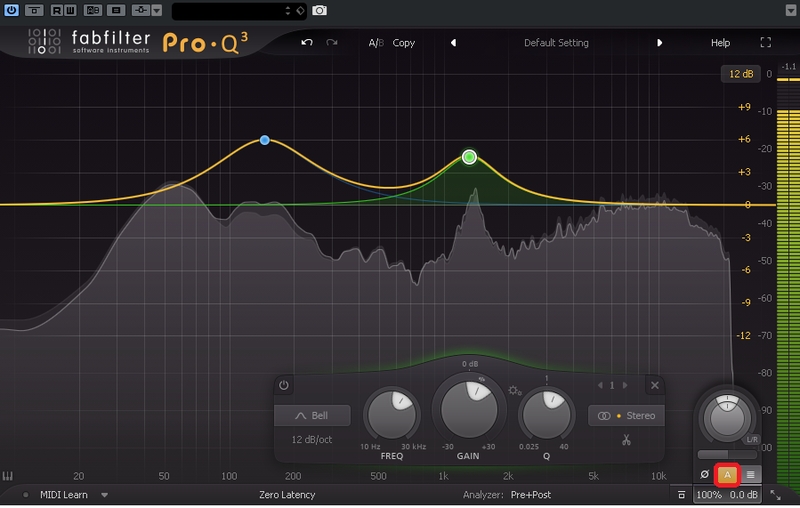 As you can see, the interface of the FabFilter Pro-Q 3 looks nice and straightforward as usual. The first feature I wish to talk about is the “Auto-Gain” function highlighted in the picture below. This feature is really useful since you don’t get fooled by the alternation of the volume level when you increase some of the bands for 6 or 7 dB. So it is very useful for matching the output level. 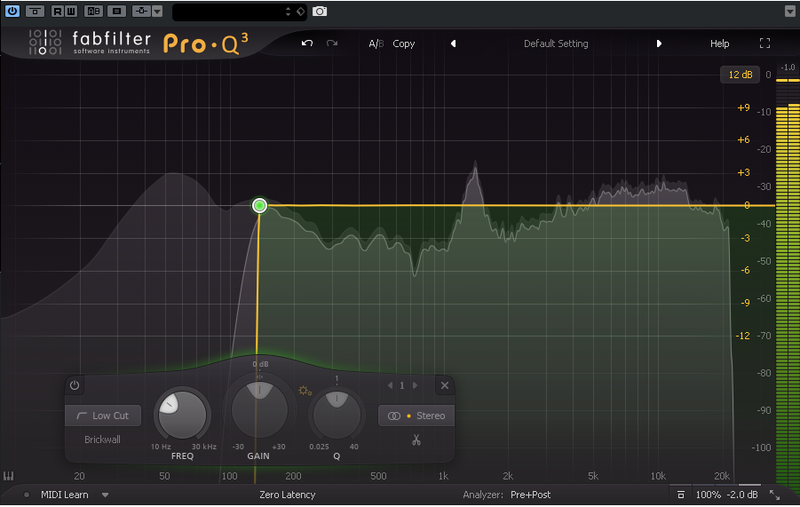 The second new feature which FabFilter Pro-Q 3 possesses is the “Dynamic EQ” mode. This is something that can replace the compressor. It is better in a way that you can boost or attenuate certain frequencies in their dynamic range, just like a compressor. What’s more, this feature is easy to access. Simply right-click a band dot and select “ Make Dynamic” as shown in the picture below. After that, you can pull up the range and make it work in expanding mode or pull down the range to make it work in compression mode. Besides this, the controls for the band switched to dynamic mode are changed. 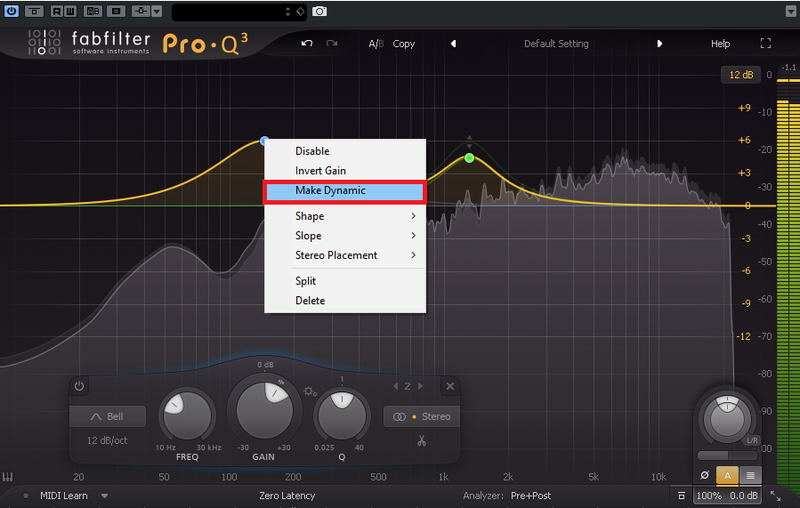 You can set the dynamic range by using the “Gain” knob. Also, you can drag the nod in the upper-frequency spectrum of the interface. Moving forward the threshold is either set to automatic or just can click on the “Auto” button, and a threshold fader will appear as shown in the picture below. Let’s hear the difference in sounding of the drum loop before applying dynamic EQ`ing and after. Another cool feature, ”Q Gain Interaction”, includes a little bit “analogy”. You can access it by clicking on a small wheel icon next to the Q parameter. So when engaged and you increase the band of your choice the Q gets narrower. The next thing we are going to talk about the is an analyzer. The new thing about it is the ability to see a full spectrum of any other FabFilter Pro-Q 3 instance used in your project. So, I have two drum loops included in my project followed by a simple bassline sequence. 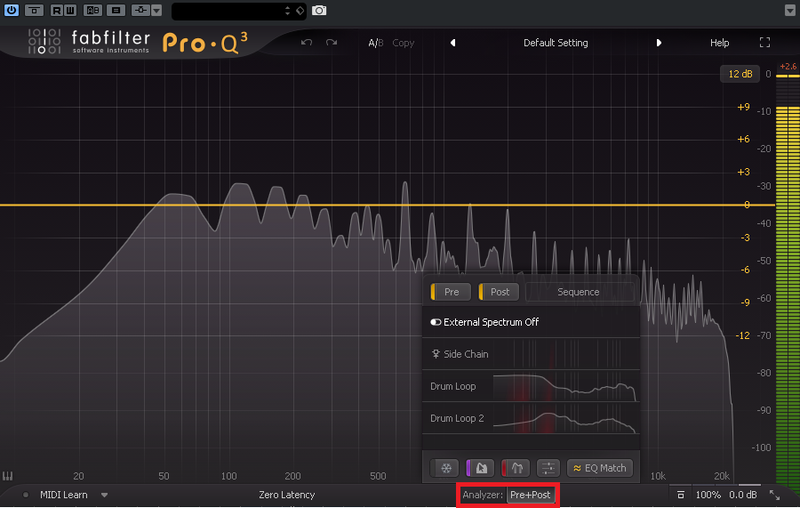 Adding an instance of the FabFilter Pro-Q 3 on the bassline sequence and clicking on the analyzer tab will show how the drum loops behave as shown in the picture below. The last feature I wish to mention is the new filter slope. Many of us thought that in previous versions of Pro Q a 96 dB slope is too much. However, with FabFilter Pro Q-3 we got the “Brickwall” slope. As its name suggests, nothing gets passed it and you can see how it looks in the picture below. Let’s hear the difference without the “Brickwall” cut and with it.